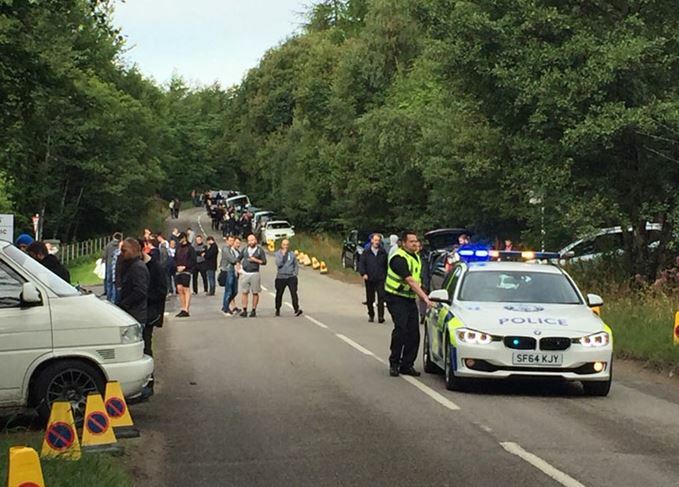 The sale of a limited edition Macallan bottling caused traffic chaos and road closures in Speyside yesterday (14 August). Macallan Genesis, a £495 bottle created to celebrate the opening of the new £140m distillery in Craigellachie, went on sale at the site at 9.30am on a first-come, first-serve basis. Potential buyers camped outside the distillery overnight, lining the B9102 down to the A941, in the hope of being able to purchase one of a reported 360 bottles available on the day. The demand was so ‘overwhelming’ that Moray Police were forced to close a section of the B9102 for safety reasons.